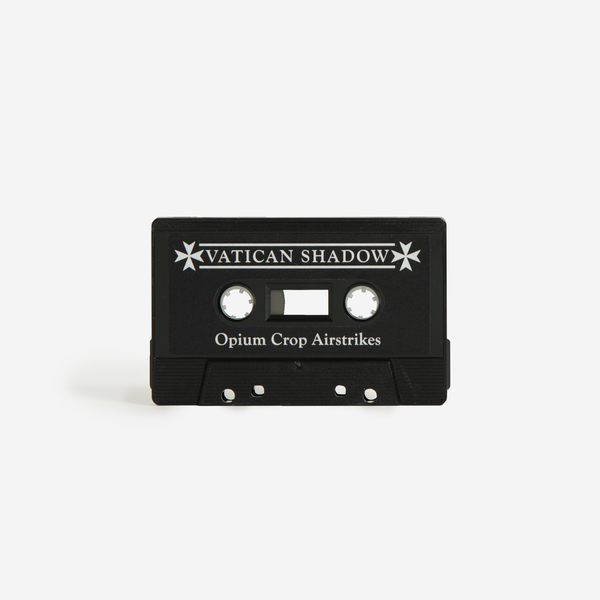 Declassified militaritulist ambience from Vatican Shadow, finding Dominik Fernow (Prurient) donning his desert fatigues for a mesmerising follow-up to his technoid outings with Ostgut Ton and Ancient Methods. 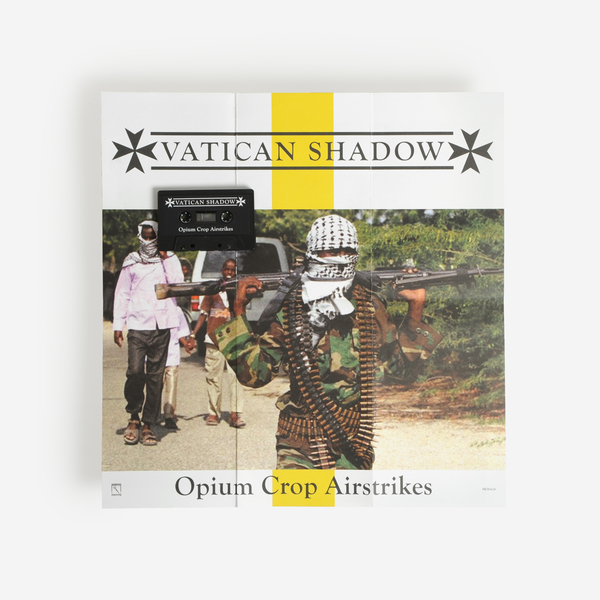 ‘Opium Crop’ makes a return to what we’d term a vintage Vatican Shadow sound, steeped in nods to Muslimgauze and modern geopolitics and fringed with an aura of clammy, atmospheric terror, just how we like it. 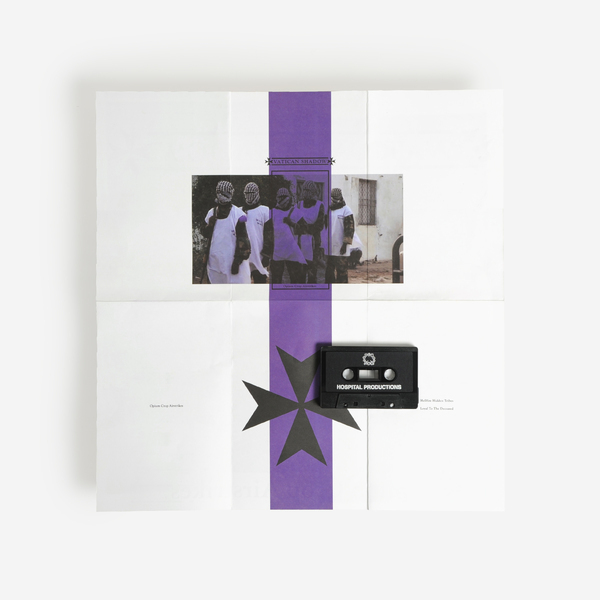 The title piece pushes off across the front with a sort of stately, waltzing rhythm and druggy synth pads recalling John Foxx and DJ Screw as much as Bryn Jones. ‘Hellfire Hidden Tribes’ sinks into the B-side with lagging Dabke rhythm embedded in oily black backdrops, occasionally lit up with vaporous synth stabs mirroring the arc and flash of distant artillery, and leading to an exquisite ambient devotional, ‘Loyal To The Deceased’.